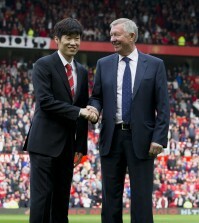 Korean midfielder Kim Bo-kyung save the day for Cardiff City with a dramatic stoppage goal against Manchester United. That was his first goal in the English premier league, as he had joined the club last season before the promotion. Kim, 24, entered Sunday’s game at Cardiff City Stadium in Wales as a substitute, with 13 minutes left in regulation and his team trailing 2-1, and stopped Manchester United from climbing into the EPL’s top four with a stunning header. Kim was beaten out of the starting lineup by Jordan Murch, 24, but was he was ready when the call came from Cardiff City manager Malky Mackay. 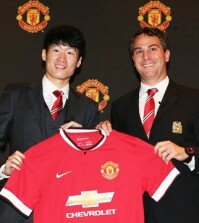 Ki Sung-yeung strikes early, stuns Man U.